Nikki's blog--lovely post! Please read. 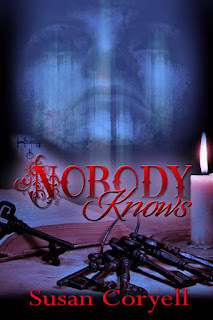 With my new release NOBODY KNOWS, I am in blog-o-heaven! Please check out Nikki's super blog where I am a guest and thanks! I am guest author on Alicia Dean's blog October 8. Please tune in to Alicia Dean's awesome blog for my guest post. She does a beautiful layout and a thorough job for her guests.